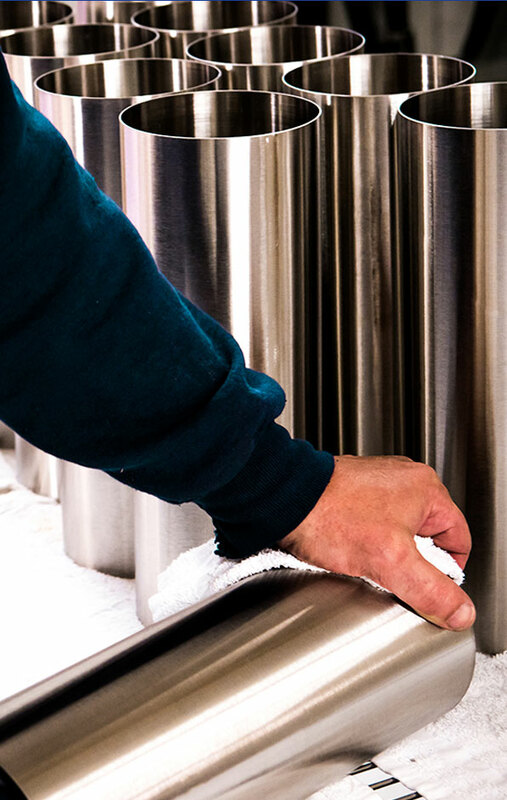 As a final operation before it is a finished (and effective) magnetic shield, our high permeability mumetal and medium permeability Alloy 49 magnetic shields need to be heat treated to restore maximum magnetic permeability. 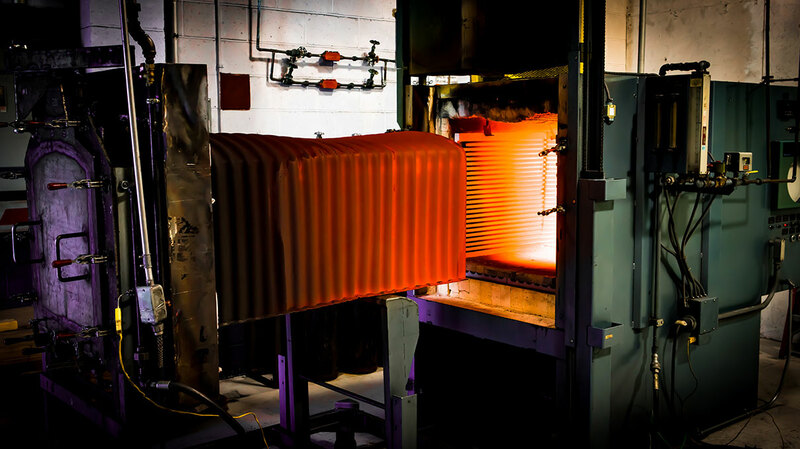 The heat treatment process must keep the alloy pure to optimize magnetic shielding performance so we use a retort hydrogen furnace for all of our in-house heat treating. This style of furnace allows us to ensure quality and maximum permeability for all of the magnetic shields we produce for our customers. Vacuum heat treating will also yield similar results and is used for larger magnetic shields as well. If you already have a fabricated mumetal or Alloy 49 magnetic shield, MuShield offers contract hydrogen heat-treating. Send us a drawing at info@mushield.com or call 603-666-4433 to discuss your hydrogen heat treat needs. When hydrogen heat-treating our magnetic shields, the temperature inside the retort exceeds 2100F (1150C) and the shields are held there for 1-4 hours, depending on the application. This “holding” temperature is the grain growing temperature for all high permeability magnetic shielding alloys, as the material is nearly molten at this temperature and the crystalline structure of the material reorders itself into large grains. The result of the enlarged grains is increased permeability (aka magnetic shielding effectiveness) of the material. Along with the grains growing, the hydrogen flowing through the retort attracts any carbon or oxygen molecules found on the surface of the material that could be clogging up the grains. The newly formed hydrogen-carbon or hydrogen-oxygen molecules then flow out with the exhaust hydrogen gas and are burned off as the hydrogen exits the retort. A simple way to make sense of the hydrogen heat-treating process is we are purifying the magnetic shielding materials by cleaning out the grains. The enlarged grains in the material can be thought of as pockets for the magnetic flux to be absorbed into. The bigger the pocket, the more magnetic flux that can be absorbed. Even at the extreme temperature we heat treat our magnetic shields, the structural integrity of the shield is not compromised, though material will be significantly softer coming out of the furnace and you may see some slight warping of the material due to the extreme heat. Careful post heat treat sizing of our magnetic shields is not out of the ordinary. All of this is taken into consideration when our sales and application engineers are working with you to design the ideal magnetic shield for your specific application. It should also be noted that heat-treating should be the FINAL process in the fabrication of any magnetic shield and that all magnetic shields should be handled with care. Any additional work or impact introduced to the material can degrade its magnetic shielding abilities.